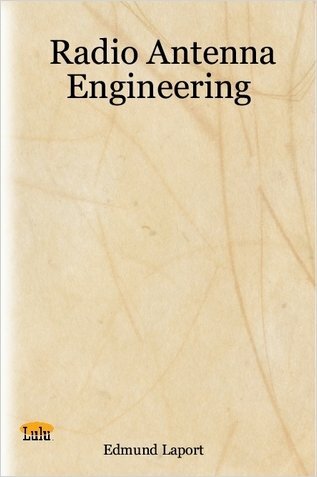 Radio Antenna Engineering was published in 1952, and presents an excellent overview of the state of commercial antenna system engineering as practiced in the first half of the 20th century. As its name implies, it's not solely about electromagnetic or radio or antenna theory although these issues are certainly a part of what it talks about. Rather, it focuses on matters surrounding the nuts and bolts (and logs, beams, bars, wires, and insulators) of actually designing and implementing a large-scale antenna system. This practical guide is for engineers who design RF networks that filter and match impedances over wide bands or match at a just one frequency. New techniques are described clearly and at a level between seminars and graduate-level instruction. A more advanced communications course covering elements of modern digital communications. Contents: Signals; Systems; Time Domain Analysis of Continuous Time Systems; Frequency Domain; Continuous Time Fourier Transform; Sampling theory; etc. Guided wave optics and optoelectronics are at the heart of optical communications, signal processing, biomedical optics, defense applications, etc. Optical communication in the last two decades has revolutionized the way information is transferred. Topics: Signal Spaces; Fourier Series; Fourier Transform; Sampling Theorem; Discrete Time Signals; Z Transforms; Basics of Probability Theory and Random Processes; Bandwidth; Amplitude Modulation; SSB - VSB Modulation; Noise Analysis AM, FM; etc.